When the project is done, the Capitol will be cooled and partially heated using geothermal energy. A geothermal well field will be installed in the ground in a city block around the Capitol. It will consist of 225 wells planted 670 feet into the ground. It will be a closed-loop system made up of a network of deep wells and pipes. The geothermal well field will not be cheap to install, but [State Capitol Administrator Steve Ripley] said it has the potential to serve more than one generation of heating and cooling systems in the Capitol. Click here to read more. 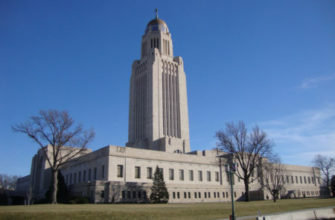 This entry was posted in Nebraska / Midwest News and tagged Energy Kids - U.S. Energy Information Administration, geothermal energy, Nebraska State Capitol renovation, Nebraskans for Solar NewsBlog, Omaha World Herald, U.S. Energy Information Administration (EIA) on May 20, 2018 by Helen Deffenbacher.